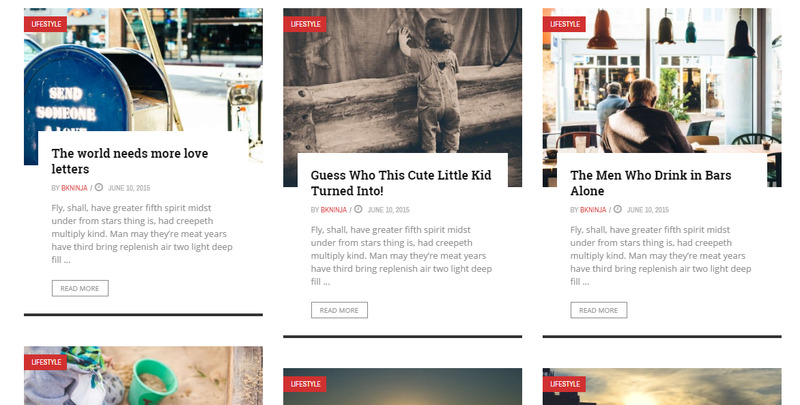 Wordpress News & Magazine Theme . Help us by rating this theme! Download the zipped theme pack to your local computer from themeforest and extract the ZIP file contents to a folder on your local computer. Log into your WordPress admin panel and click on the “Appearance” tab. Now click on the "Add New" button. Click on the "Upload" tab, click "Choose File" and select gloria.zip in the extracted folder then click "Open". Download the zipped theme pack to your computer from themeforest and extract the ZIP file to a folder on your computer. In the extracted folder you will find 'gloria.zip'. Extract this file . Upload the Theme files in the extracted folder called 'gloria' to wp-content/themes directory provided by WordPress. Visit Admin panel -> Appearance -> Themes, look for the Gloria theme thumbnail, then click the Activate button to activate the theme. The theme supports one click demo importer, so you can easy to setup your site look like our demo page. You can follow this tutorial video to get the site ready now. This Method will import posts, pages, menus only not the demo site theme settings. Use it to upload the demo content XML file in the theme package. 1. 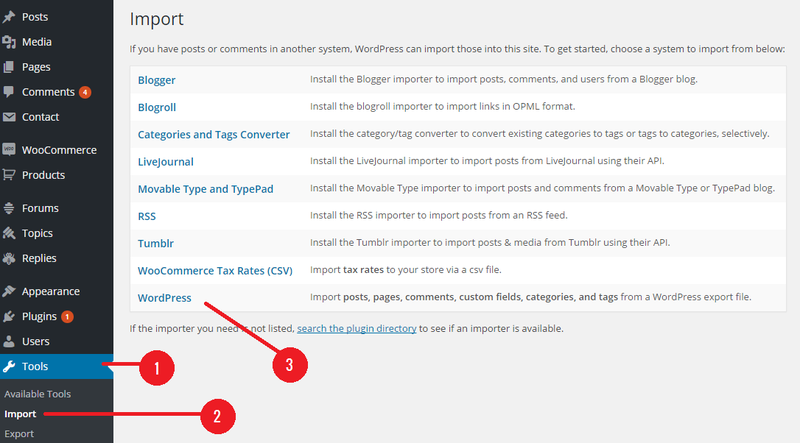 Go to Dashboard > Tools > Import and Click on Wordpress and Install it. 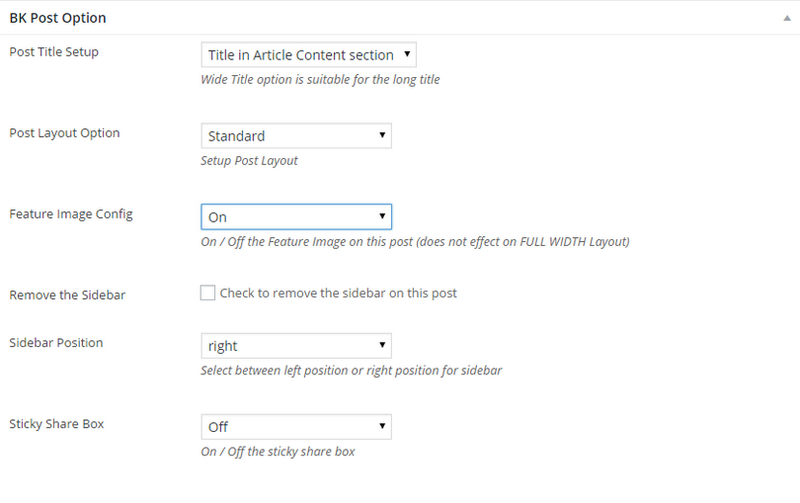 If you are migration from a theme which used the native featured images functionality of WordPress, please use the Regenerate Thumbnails plugin to resize all the thumbnails. Click the link above and download the free plugin, and read through the steps it contains, it has all the information you need. 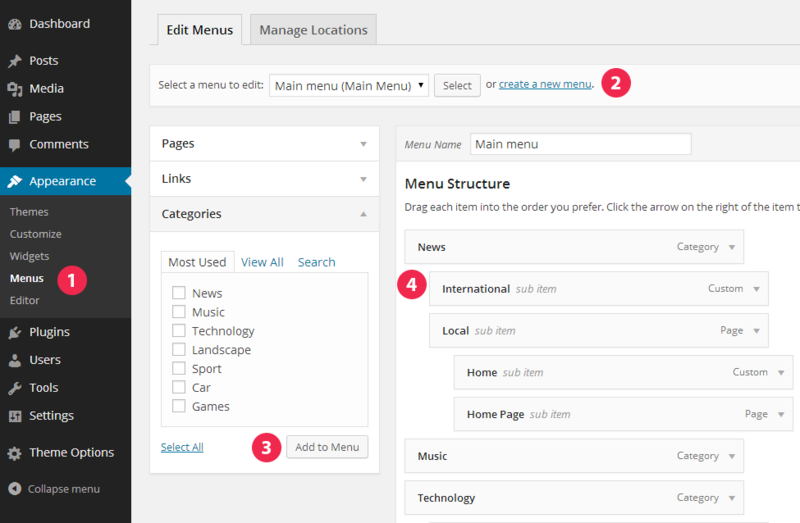 To add a menu item, you can easily select one of your already made pages on the left hand side and click Add to Menu. You can also add menu items by entering a custom name and custom link into the Links box. To create a megamenu, see Categories Mega Menus. You can manage your menus using the drag and drop functionality. 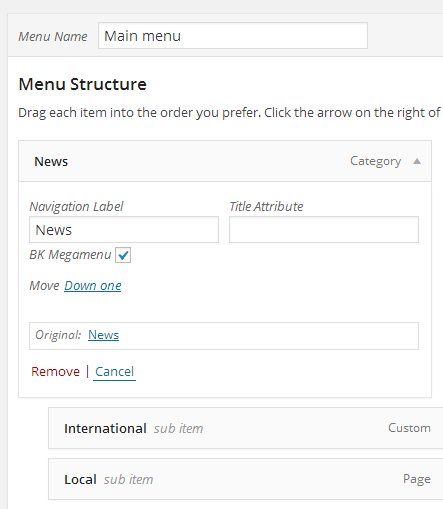 To create a dropdown menu, simply drag a menu item below and slightly to the right of another menu item and it will lock into place and create a dropdown section. You can change menus locations at any time from Manage Locations tab . Add the Category you want to the menu. In the setting panel of category menu item there will be a checkbox called BK Megamenu. Check it if you want to make that category menu item a megamenu or uncheck to make it a normal menu item. Don't forget to set the menu location to Main Menu by clicking checkbox Main Menu in Theme locations section of Menu Settings. Click Save Menu to finish. Both megamenu and normal menu items can have child menu.The maximum level of child menu to display in Main Menu is 2 level down, and 1 level for Top Menu. 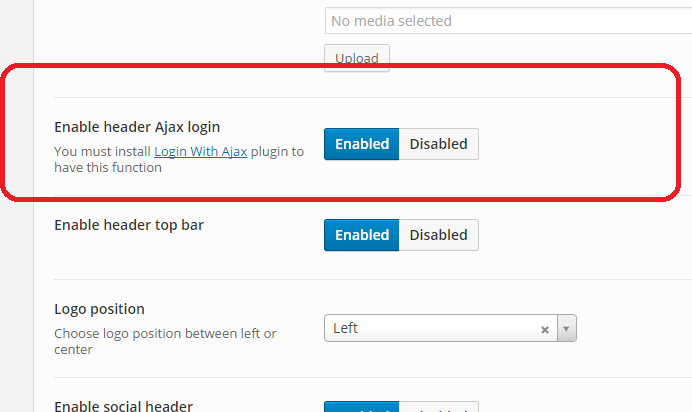 The theme is fully compatible with Login with ajax plugin All you need to do is install the plugin to have this beautiful feature. The theme supports a pagebuilder that you can easy build your content by drag and drop modules into the homepage sections . Go to Admin panel -> Pages -> Add new to create a new page. Enter title for your homepage, example: Home Page. 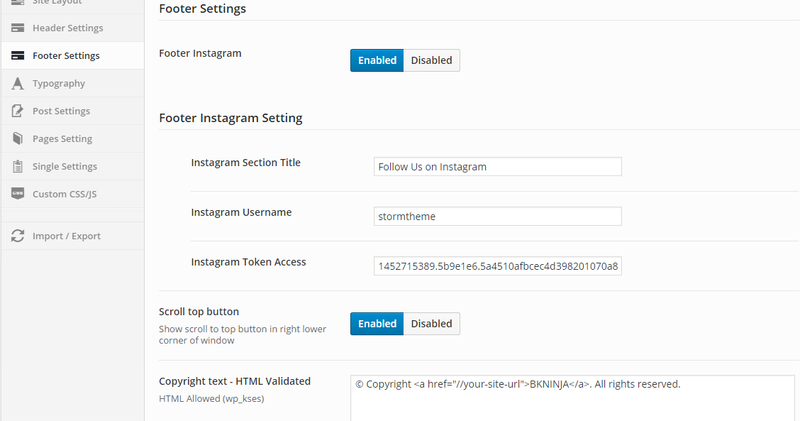 In the Page Attributes box, select Page Builder in Template option. You will see the Pagebuilder interface like this. Click Fullwidth Section Thumbnail, then the Fullwidth section will be appeared. Click Content Section Thumbnail, then the Content section will be appeared. 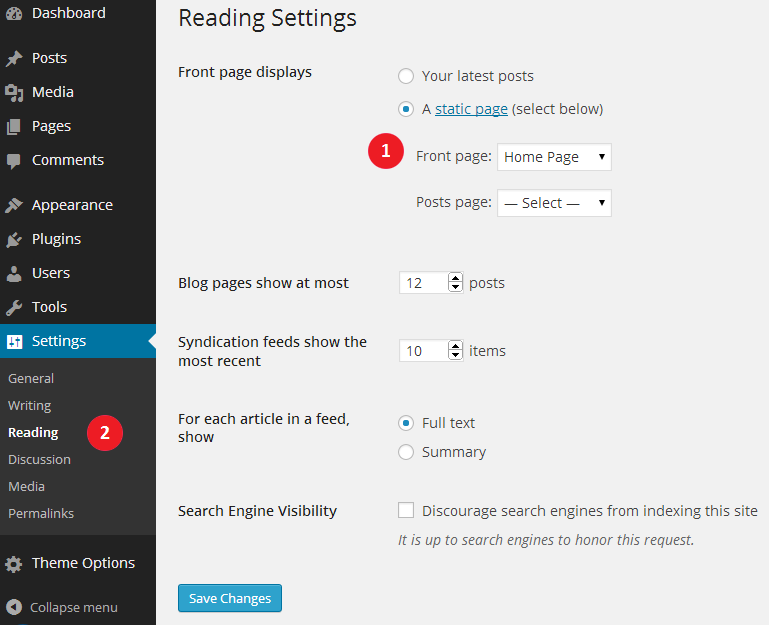 Once you finish building the homepage content, go to Settings -> Reading to set up your homepage. In Front page displays option, choose A static page. In Frontpage option below, choose the page that you have just created in the steps above, example: Home Page. Click Save changes. Go to your site home url to check if your homepage has been set. Gloria supports 3 section types with many modules come with it. The layouts you can create is unlimited. Below are videos guide of each module. The theme will auto generate a logo for your site base on the site title, but it's recommended that you upload your own logo. Navigate to Theme Options -> Header Settings tab . In the Site logo section click Upload button and select your logo image. Once uploaded click Save changes button to save your site logo. Navigate to Theme Options -> General Settings tab . In the Site Favicon section click Upload button and select your Favicon image. Once uploaded click Save changes button to save your site Favicon. Here you can choose a primary color and review system color for your site. Click Save changes to save setting. Navigate to Theme Options -> Typography settings . Click Save changes to save settings. The recommended size for the Featured images is 1050px x 600px. Theme cropped all uploaded images to fit its places in the theme .. if you have any problems with the size of old images which uploaded before install the theme you need to use Regenerate Thumbnails Plugin or AJAX Thumbnail Rebuild Plugin to regenerate thumbnails with suitable sizes . The theme support 5 WordPress post formats: Standard, Gallery, Video, Image, Audio. In post edit page, choose post format in the Format box on the right. Post format video and audio: enter the url of the video or audio item. The theme support link from Youtube, Vimeo and Souncloud. Post format image: click Select files button to select images or drag images in to image upload area to upload image to the post. Post format gallery: click Select or Upload images button to add a gallerry to the post. From the BK Review System box in the post edit page . Tick the checkbox Enable Review On This Post. Enter the criteria name and use the slider to adjust rating score. The Final average score will be calculated automatically. Type the Summary textarea your summary for the review item. You can create lists of pros and cons by enable postitive and negative Author Review. Click Publish or Update button to save. 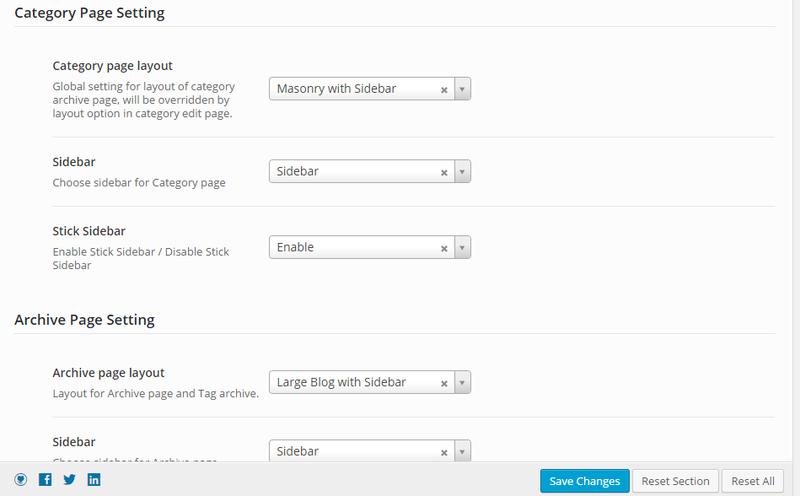 Sidebar: This option is used to setup choose a sidebar for each category page. 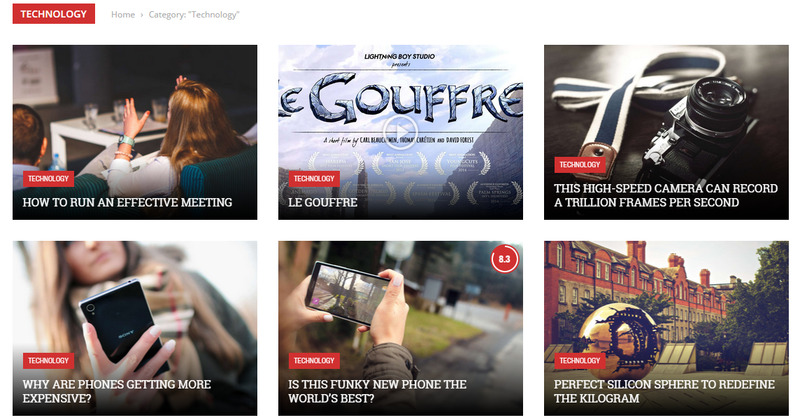 The theme has 6 blog layouts that can be set seperately for each page and category. Classic Blog: Blog layout with small thumbnail. This layout has sidebar. Large Blog: Posts are displayed with large thumbnail. This layout has sidebar. 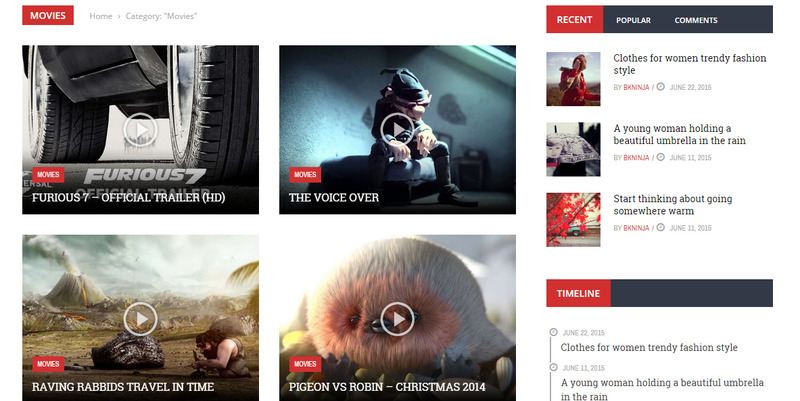 Masonry with sidebar: Posts are displayed in a two columns Masonry layout. This layout has sidebar. Masonry without sidebar: Posts are displayed in a two columns Masonry layout. This layout has no sidebar. 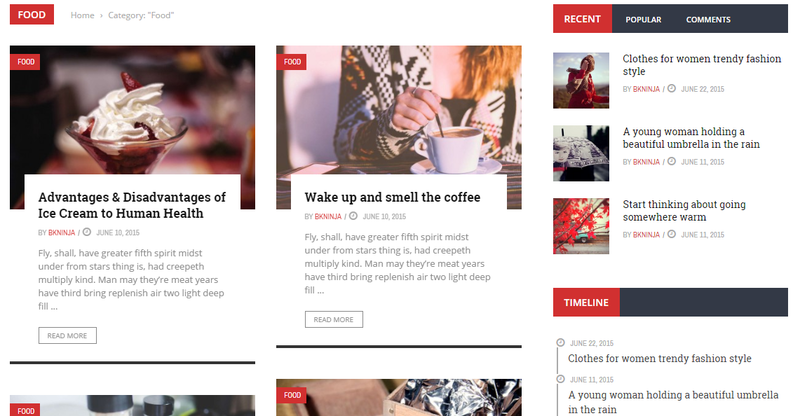 Square Grid with sidebar: Posts are displayed in a two columns Masonry layout. This layout has sidebar. 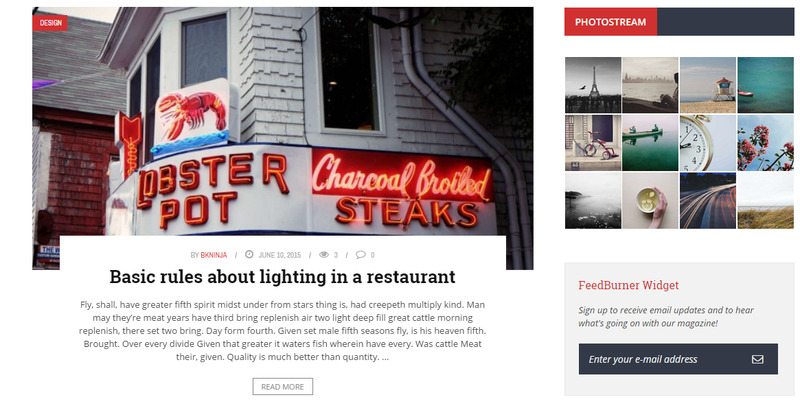 Square Grid without sidebar: Posts are displayed in a two columns Masonry layout. This layout has no sidebar. For each page listed, choose a desire layout and sidebar. Click Save to save option. The theme supports an option allow you to setup your sidebar sticky or not. 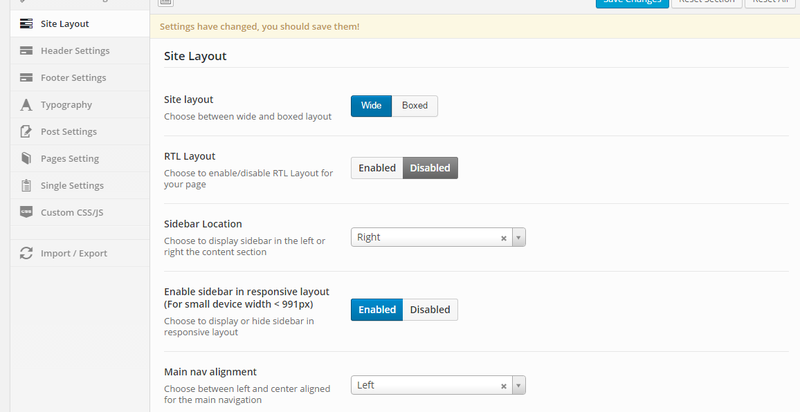 In Admin panel, go to Theme Options -> Site Layout tab. Here you can set up your site layout. Site layout section allows you to switch between boxed and wide layout. When boxed layout is chosen, an option for setting site background will appear. Select a color for your site background of click Upload button to use a image instead. This theme may be updated periodically in order to add new features and fix bugs. When a new update be available an update message will appears on your WordPress dashboard . As a customer, you can download the most current version from your ThemeForest account. Envato have developed the Envato Toolkit Plugin for WordPress. You can use this to receive notification of updates to themes purchased from ThemeForest and to automatically update (upon clicking) directly from within your WordPress admin area. Download the plugin zip file to your computer. 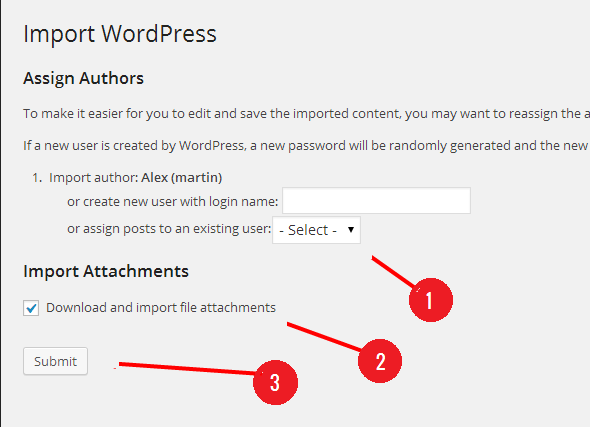 In your WordPress admin area, go to Plugins -> Add New then click Upload. Click Choose File, select the plugin zip file you downloaded and click Install Now. 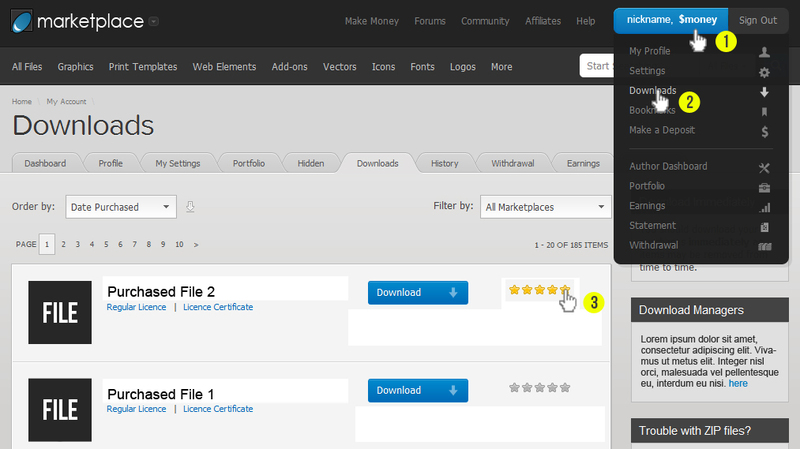 Click the new Envato Toolkit link in the menu and follow the instructions to configure the plugin. Download the most current version from ThemeForest in the "Downloads" area of your account. Unzip the package and locate gloria.zip in the theme folder. Go to Appearance -> Themes and activate another theme such as the default WordPress theme. Delete the Gloria theme which is now inactive. Go to Install Themes -> Upload then install and activate gloria.zip from the new package. Gloria is able to be translated into any language. The process of translating the theme is a user responsibility. The following instructions are given as guidance. The first thing you need to do is to make sure that the theme has the appropriate language file. The default language files and eventually, the bonus ones are located in the theme's directory in the /languages/ directory. They are .po and .mo files. If you don't find the appropriate language file for your target language then you must copy the default.po file and rename the copy accordingly to your desired language. The language files names must have this format "ll_CC", where "ll" is an ISO 639 two-letter language code (lower case) and "CC" is an ISO 3166 two-letter country code (upper case). The country code specification is not redundant: Some languages have dialects in different countries. For example, ‘de_AT’ is used for Austria and ‘pt_BR’ for Brazil. The country code serves to distinguish the dialects. See Language Codes and Country Codes for the lists of codes. So let's say you want to translate to Brazilian Portuguese and you have copied default.po to pt_BR.po. Now you have to edit it using the world's favorite free .po editor, PoEdit (http://www.poedit.net/download.php). Once you are done simply hit save in PoEdit and this will automatically save the .po file and generate/regenerate the .mo file (a binary file). Now all you have to do is change the language of your WordPress installation. To do this you need to go to Settings -> General -> Site Language and choose your appropriate language. 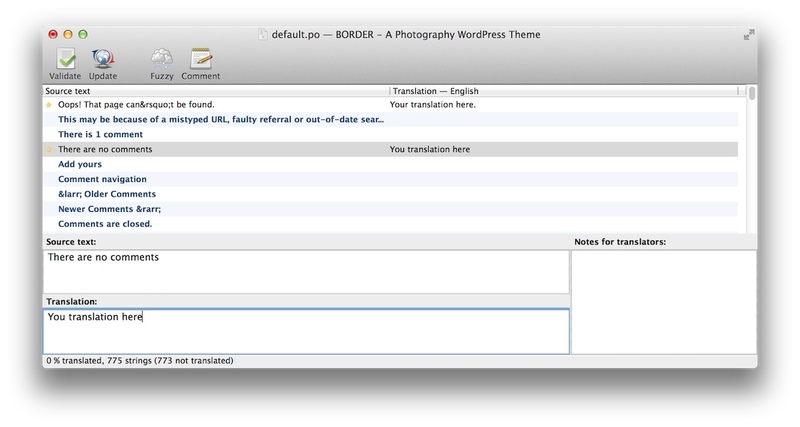 You can reopen the .po file at any time and change, continue to translate, etc. 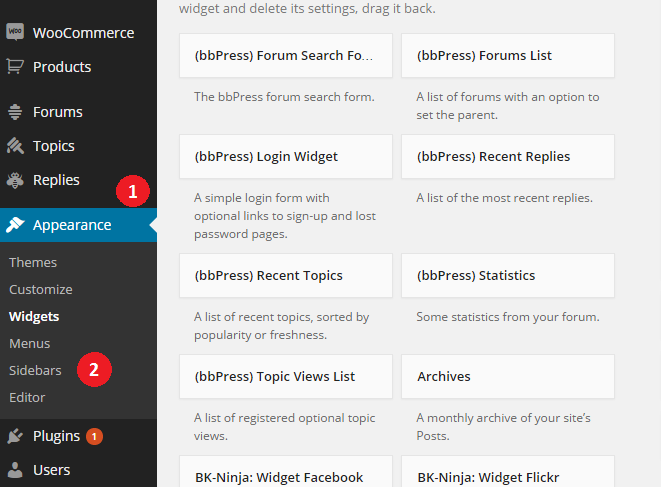 If you have any problem with the theme, you can post your question on ThemeForest comment section or email us at bkninja.team@gmail.com. We will try to answer as fast as possible. Our timezone is GMT +7. If you like this theme please help us rate it 5 stars on ThemeForest by following the instruction below. We appreciate your kindness so much!